The ultimate picnic salad, combining white and red cabbage, carrot, red onion and radishes; smothered in a yogurt and herb dressing. Add all the vegetables in a large bowl. In a separate bowl add the yogurt, lemon juice, oil and mustard and mix well. 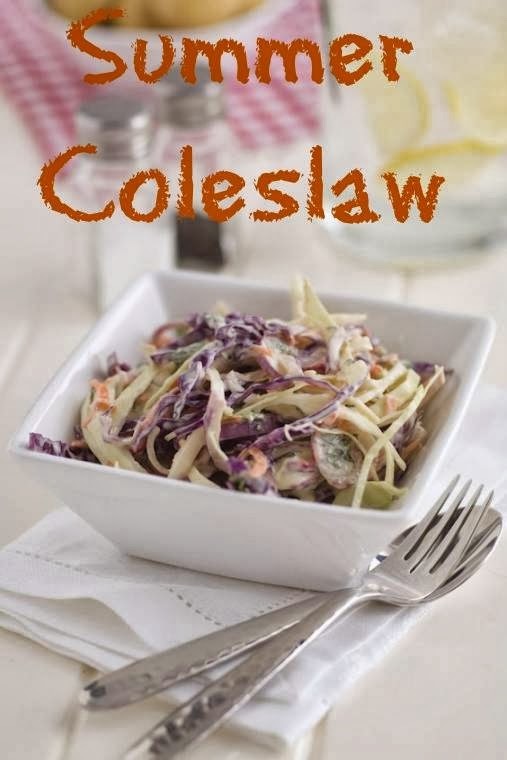 Try the coleslaw with cold meats, burgers, jacket potato or pizza. "Link Up Your Favourite Posts This Week : Welcome To The Weekend Blog Hop.."
This sounds like the perfect summer dish, really yummy. Ohh, I really like the look of this and like the addition of radishes too. Great colours! Yum. We love cole slaw but I've never thought to add dijon to the dressing. I'll try it next time :).